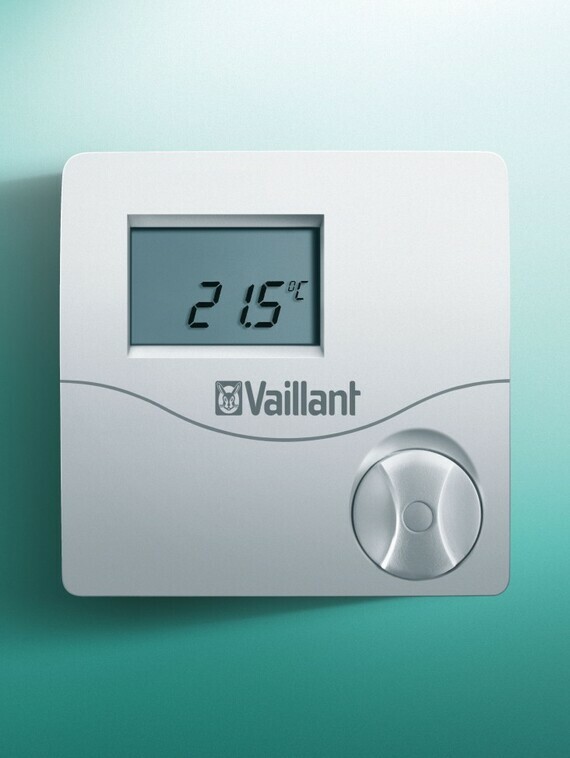 This easy-to-use, intelligent VRT 50 digital room thermostat shows the current room temperature and can be used with Vaillant ecoTEC plus combi boilers and the timeSWITCH 150 central heating timer. The thermostat can be set to intelligent control, which provides greater efficiency and a more comfortable room temperature. Using enhanced load compensation the VRT 50 reduces the output of your Vaillant Boiler, ensuring it only uses as much energy as it needs to. Two core low voltage wired connection for simplicity. 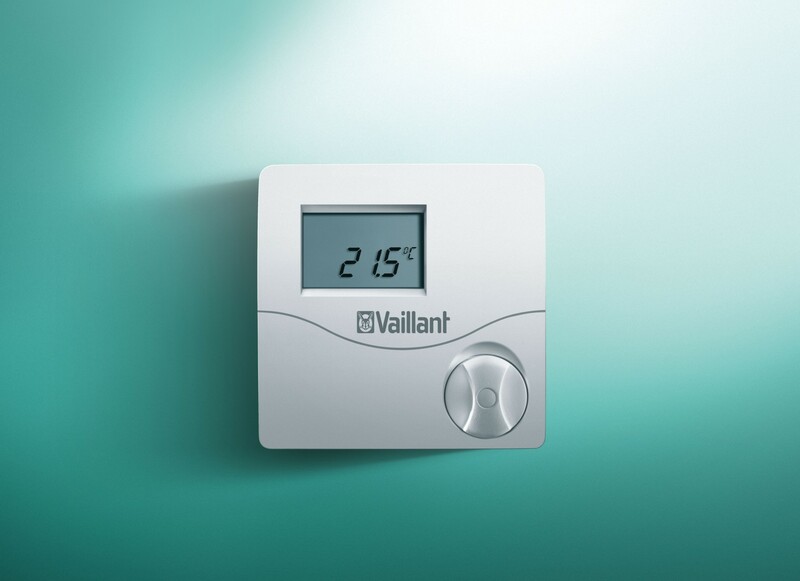 Takes advantage of Vaillant's eBUS protocol to take total control of your Vaillant boiler.